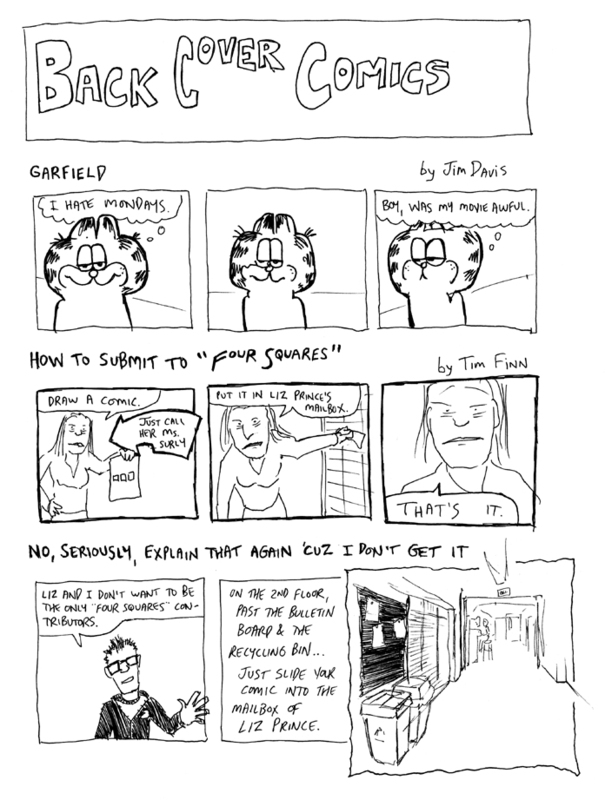 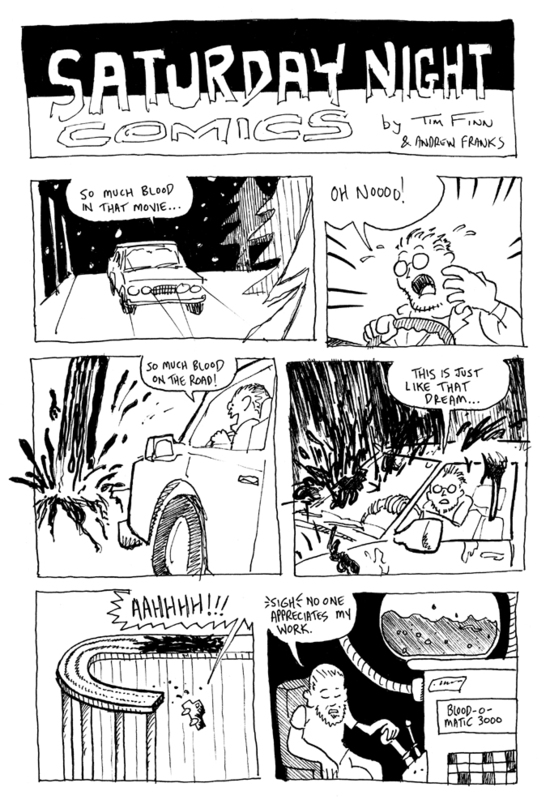 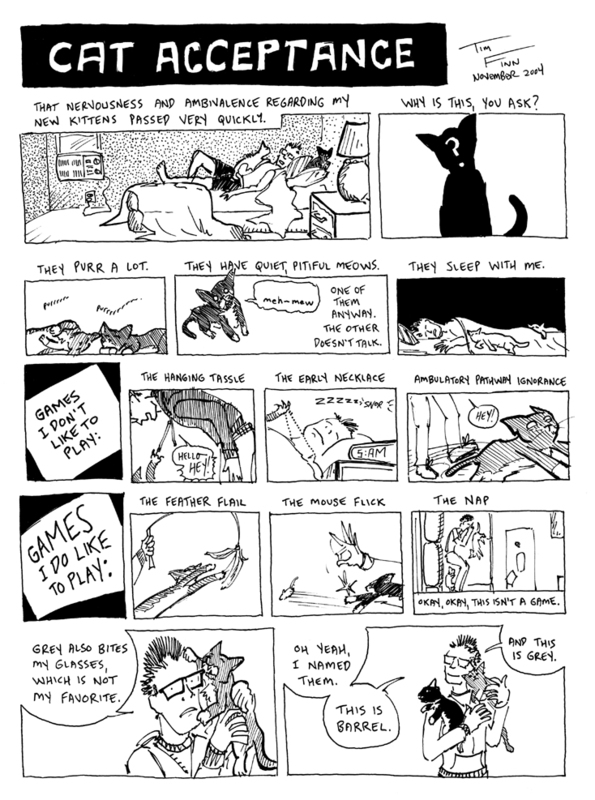 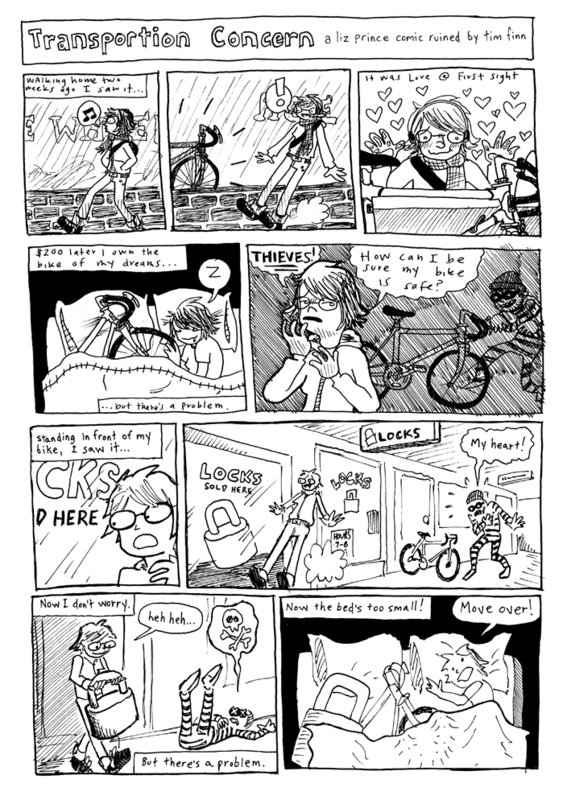 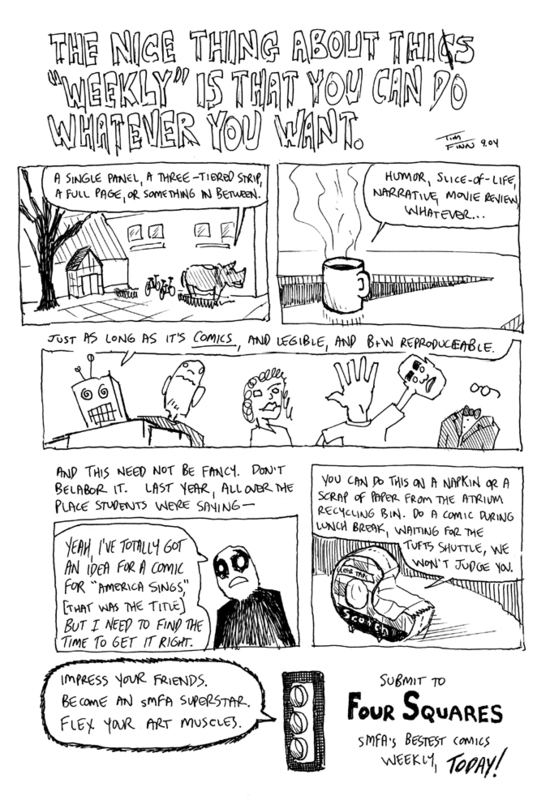 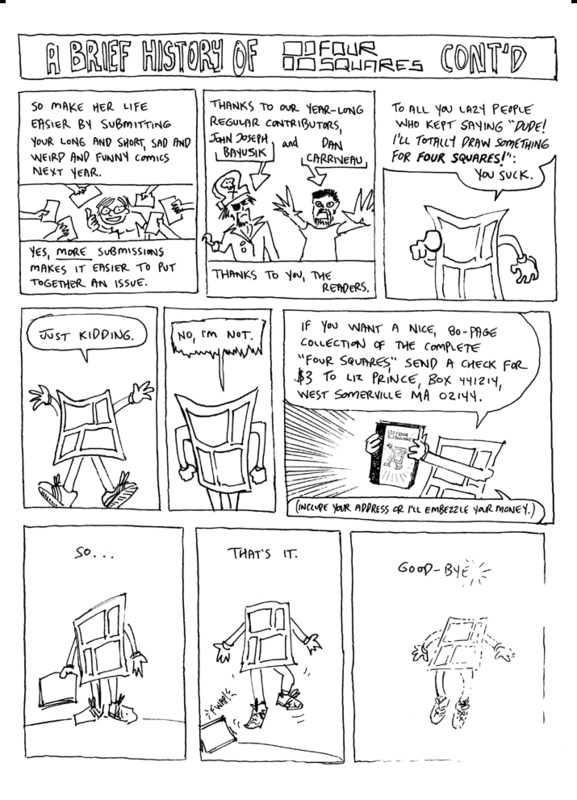 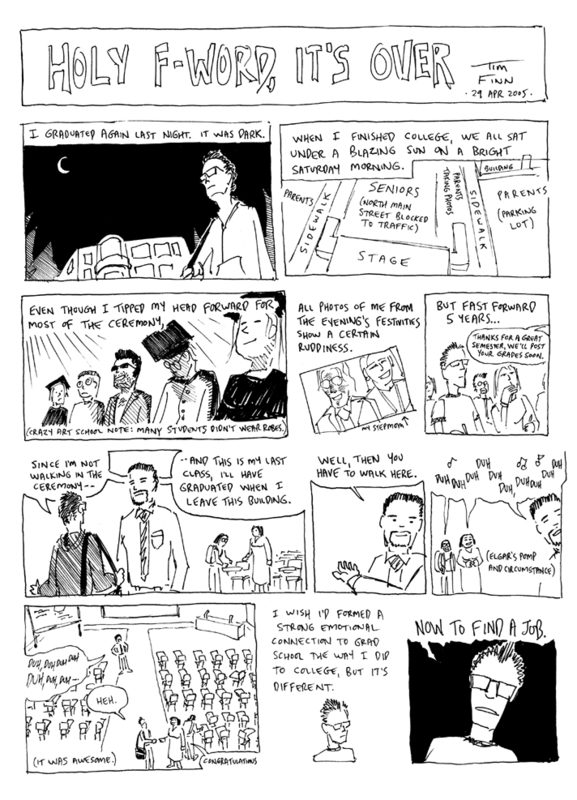 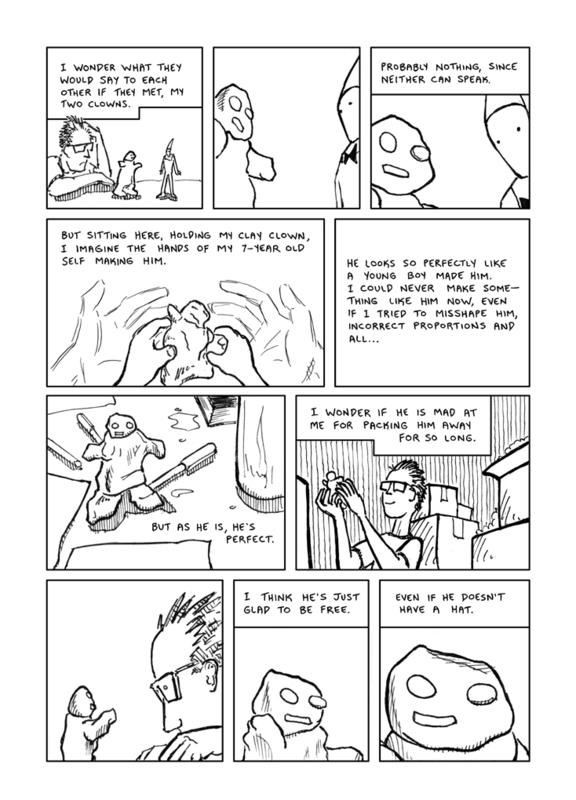 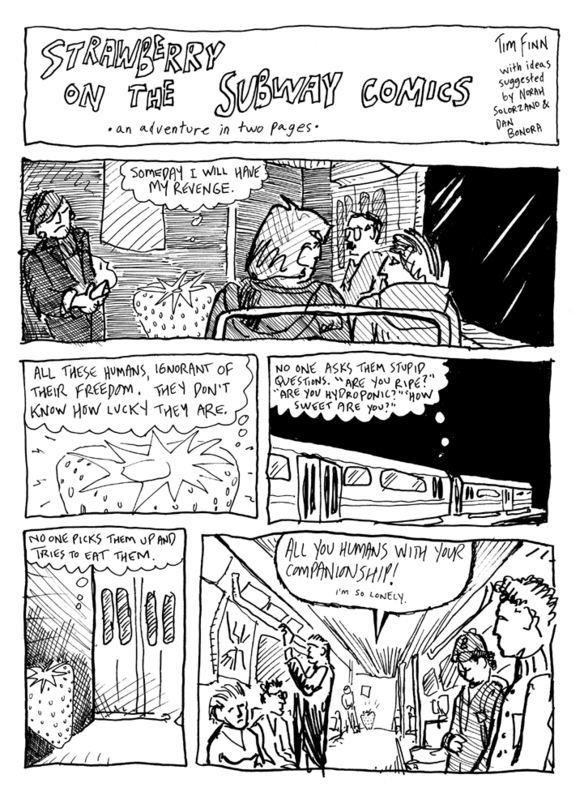 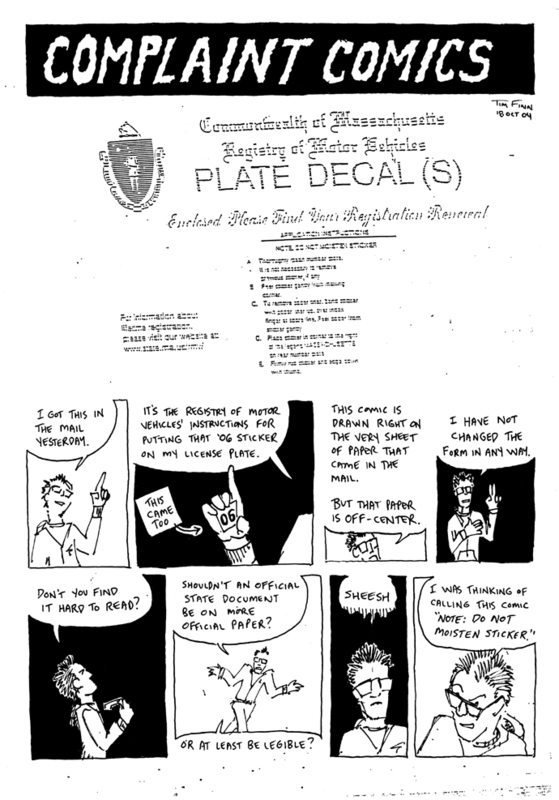 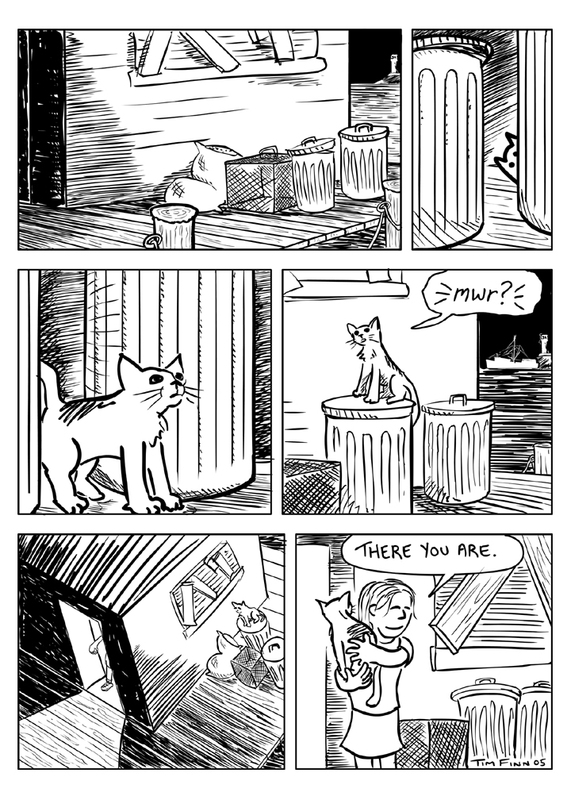 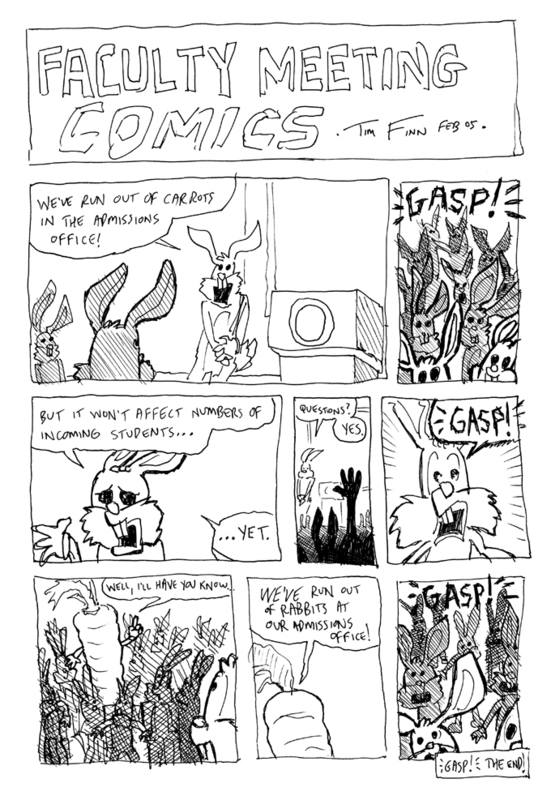 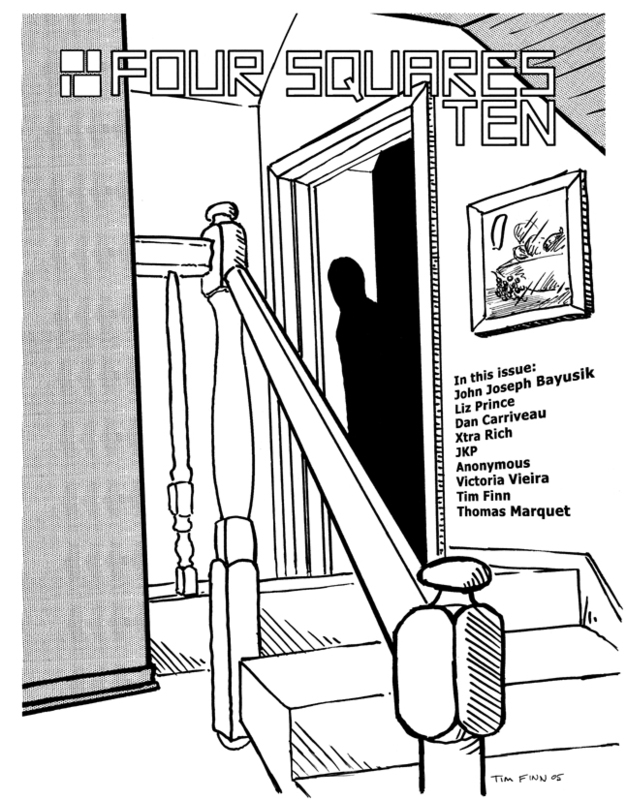 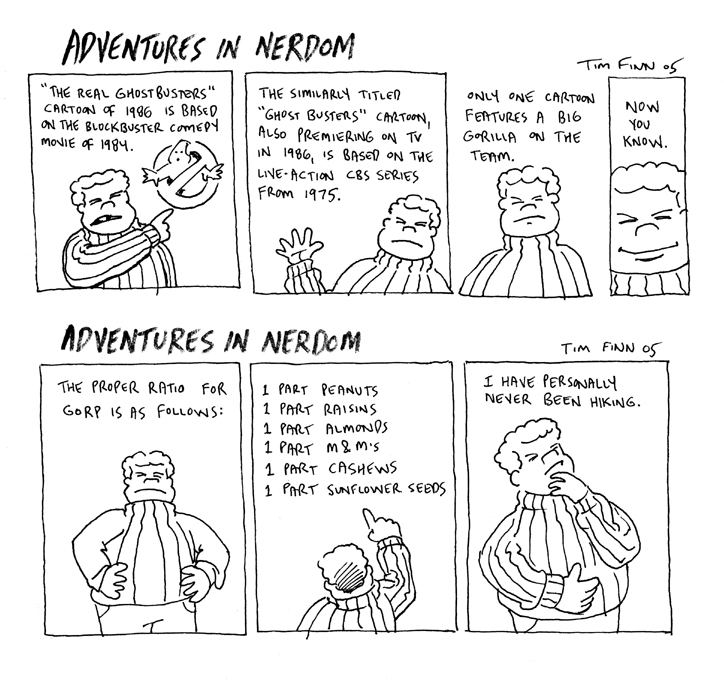 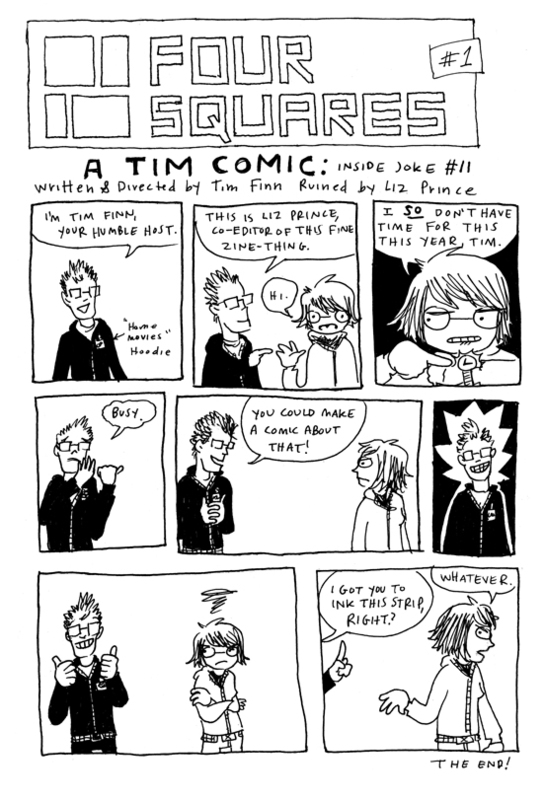 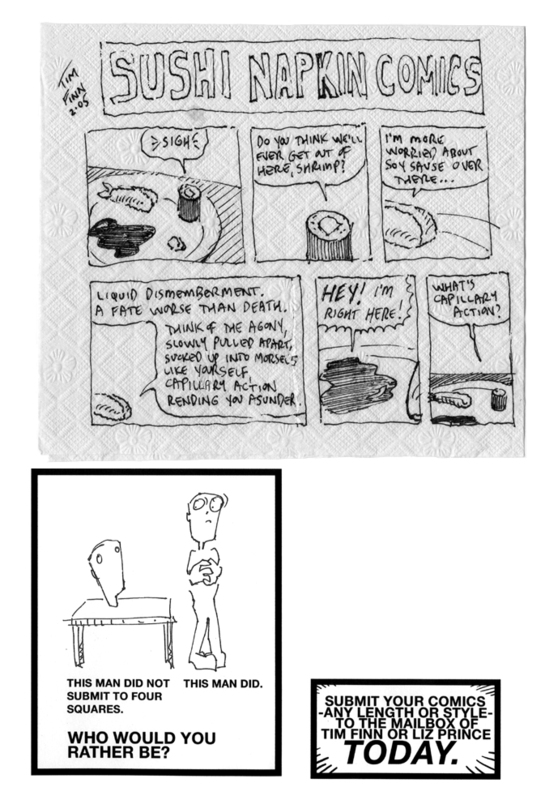 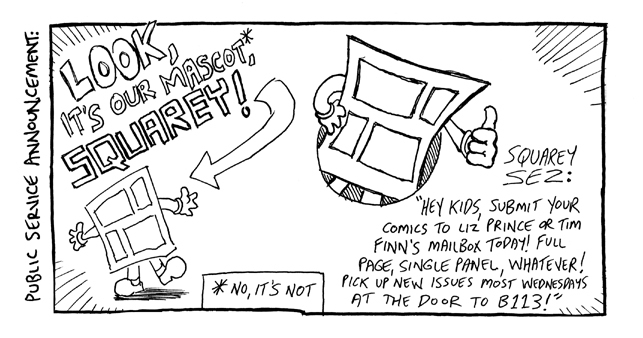 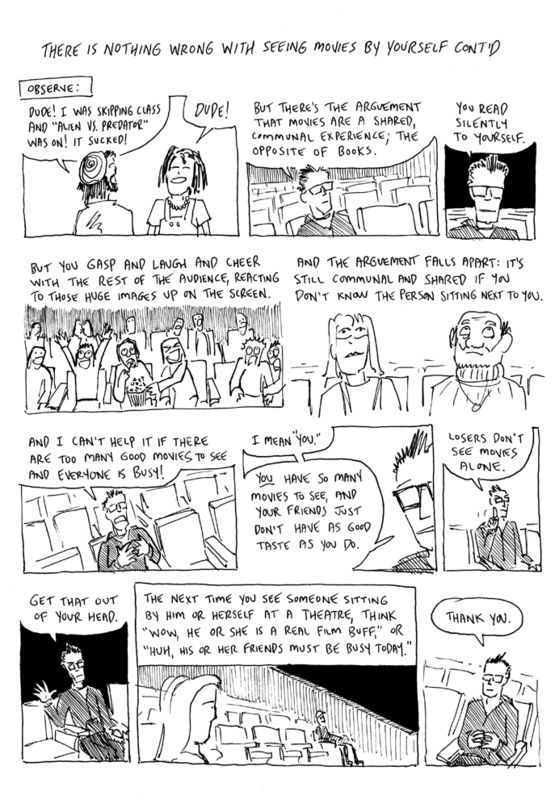 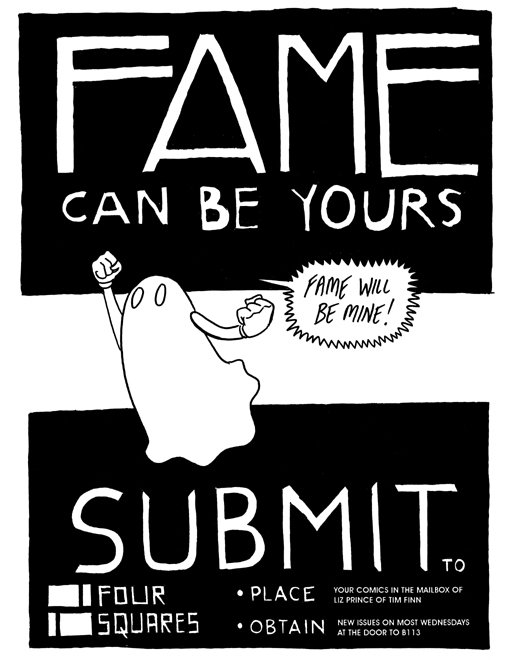 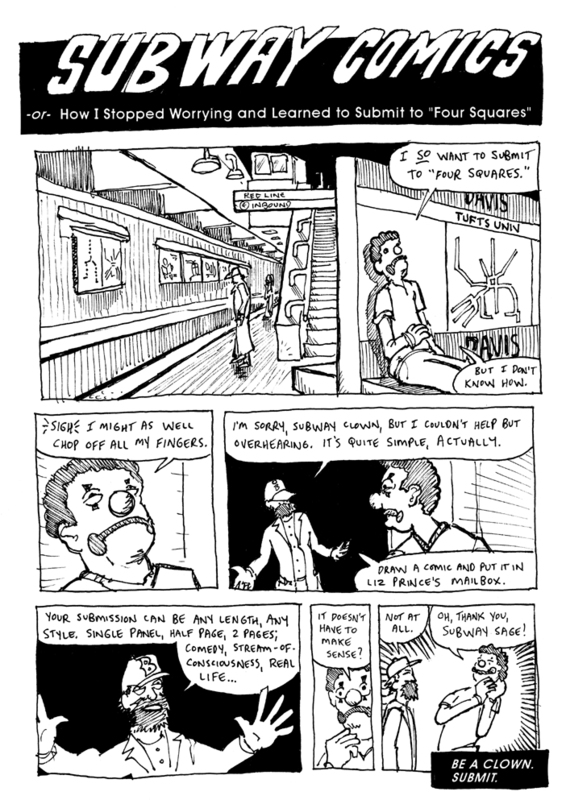 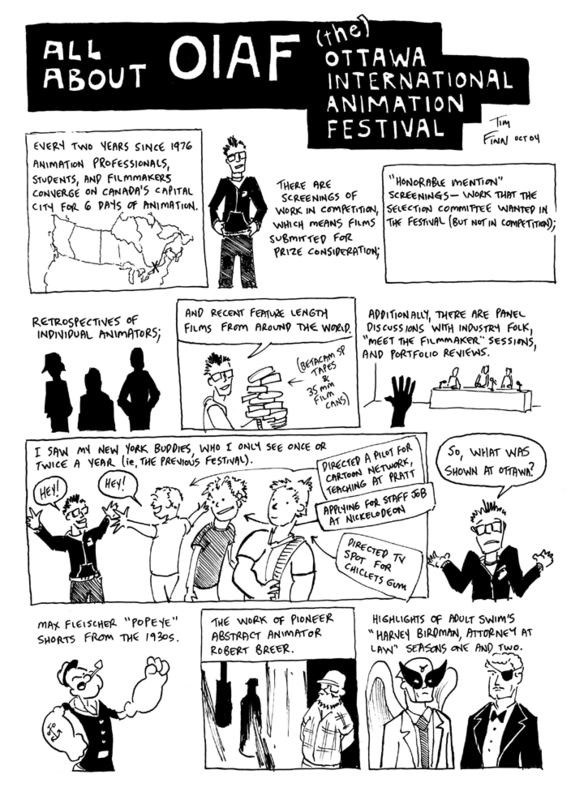 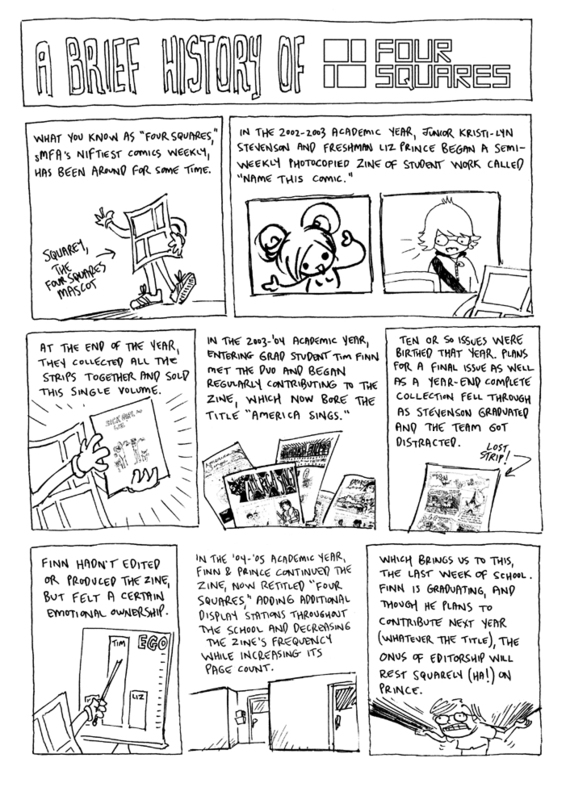 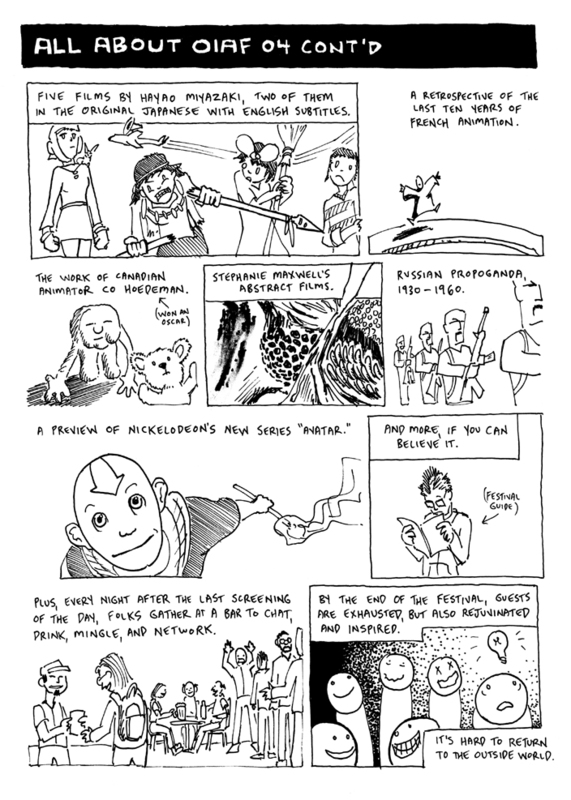 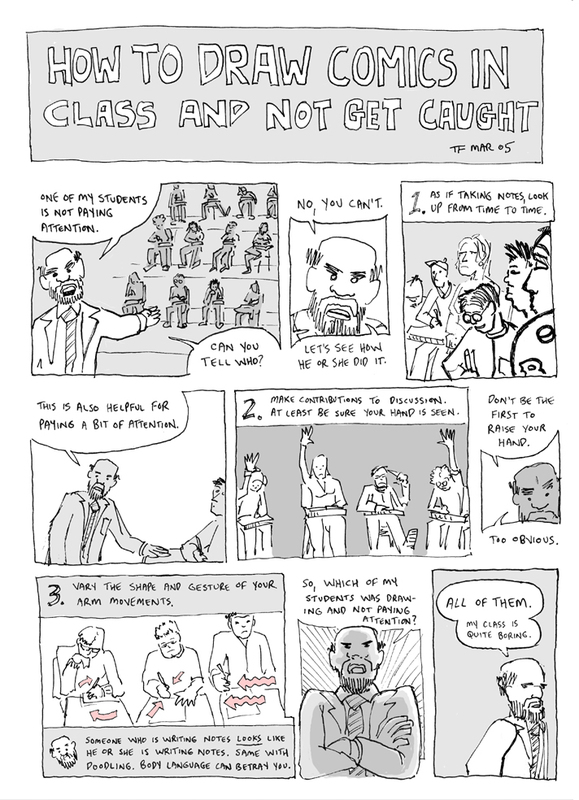 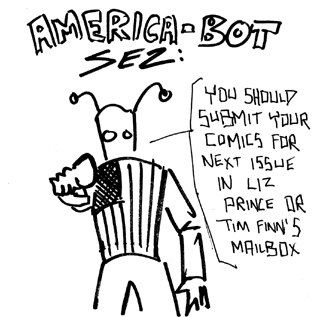 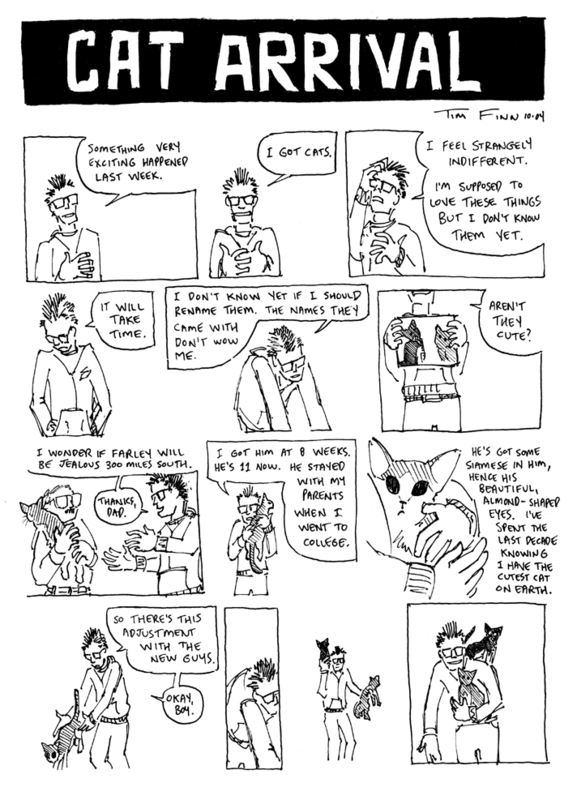 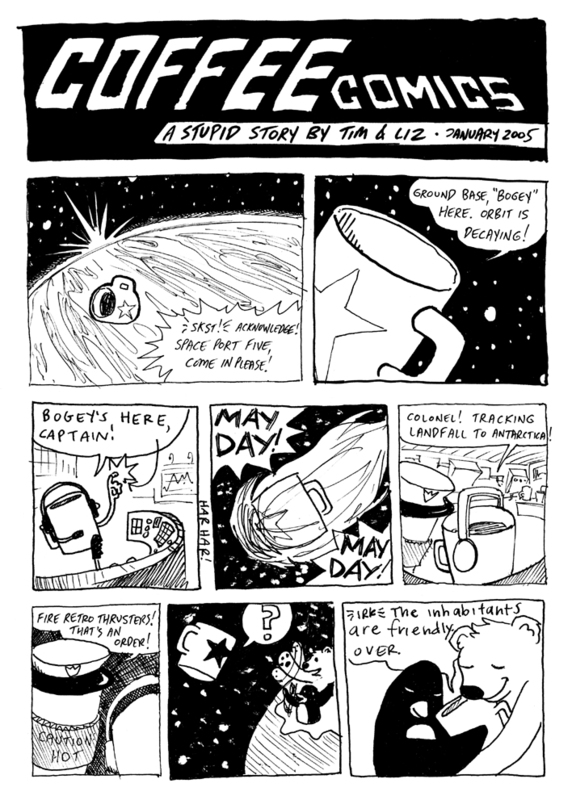 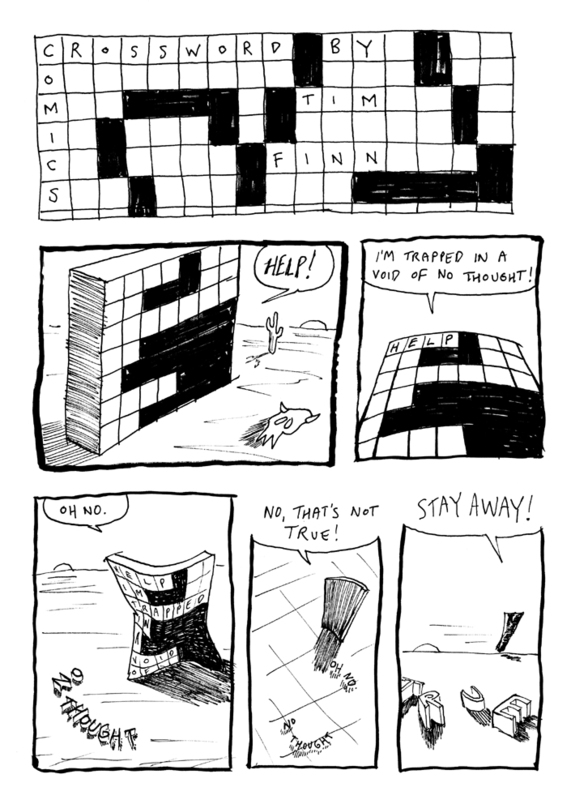 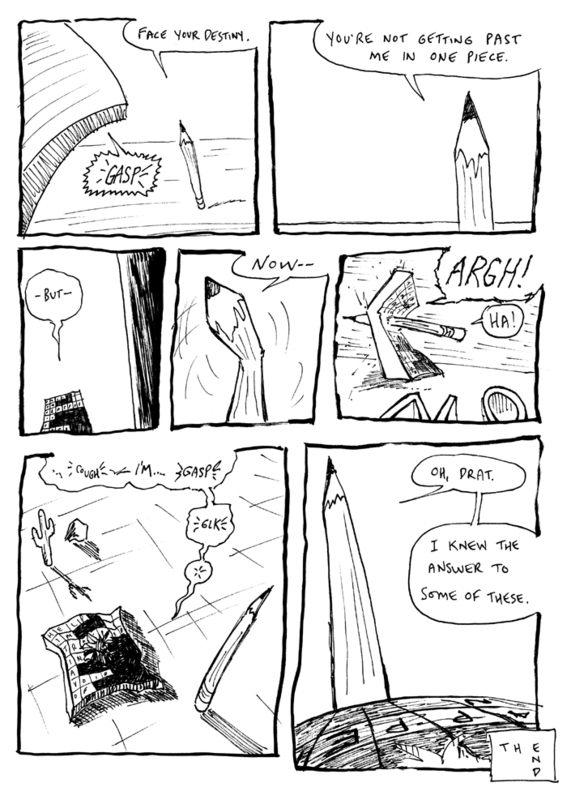 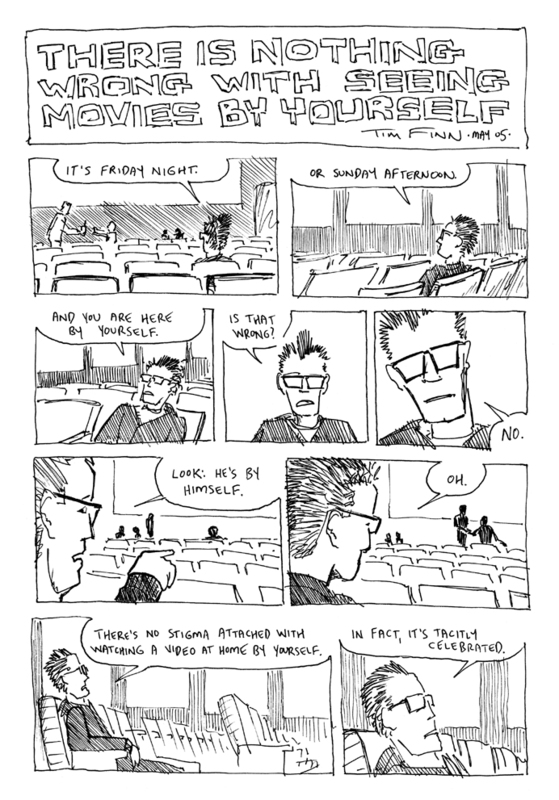 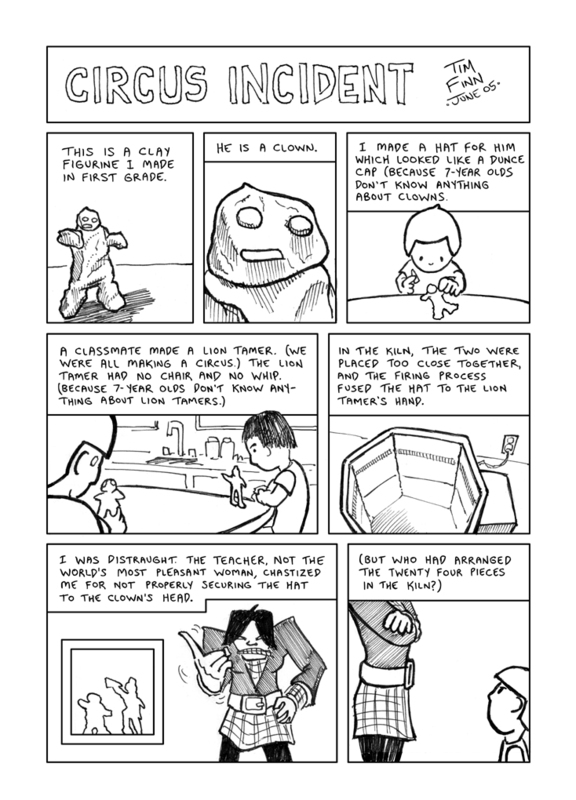 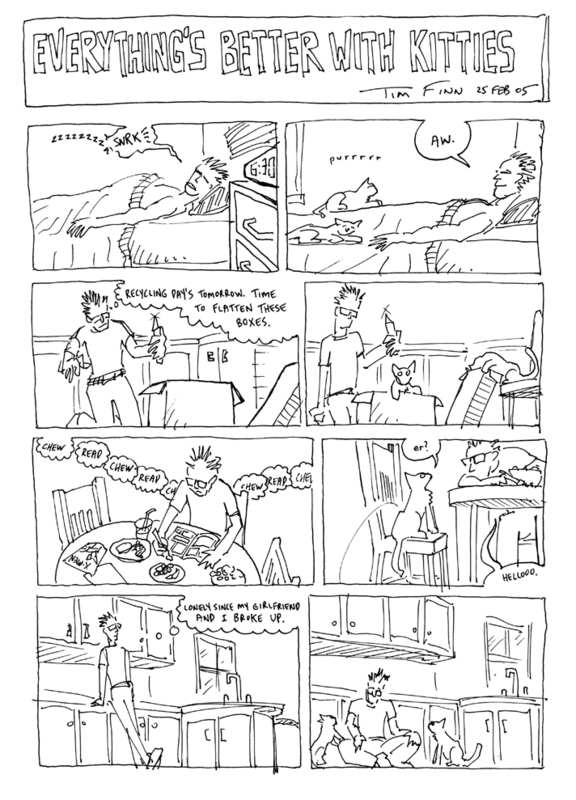 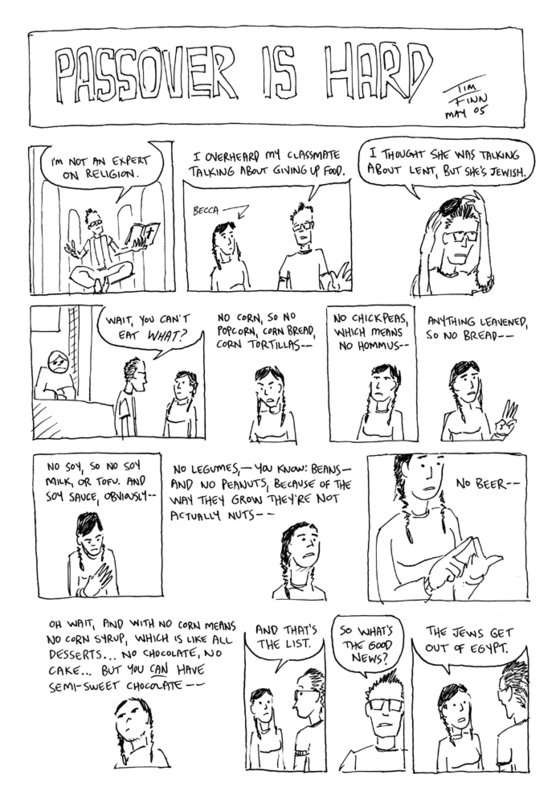 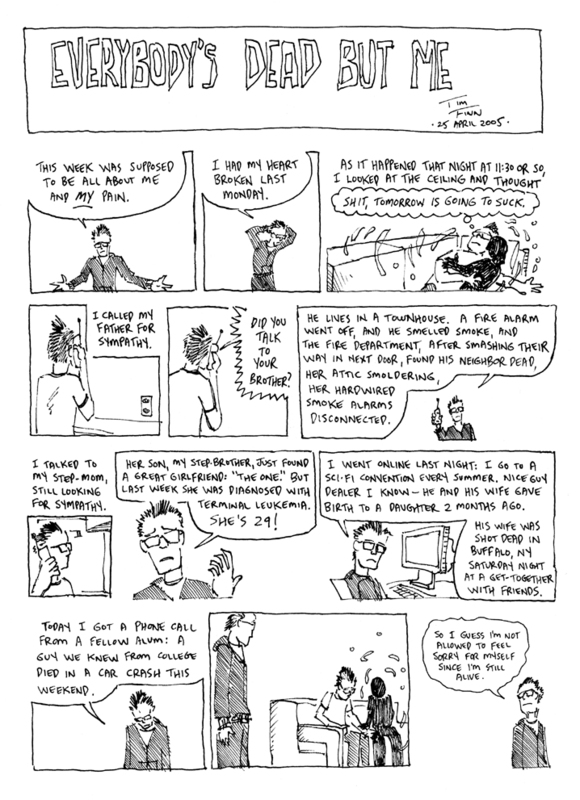 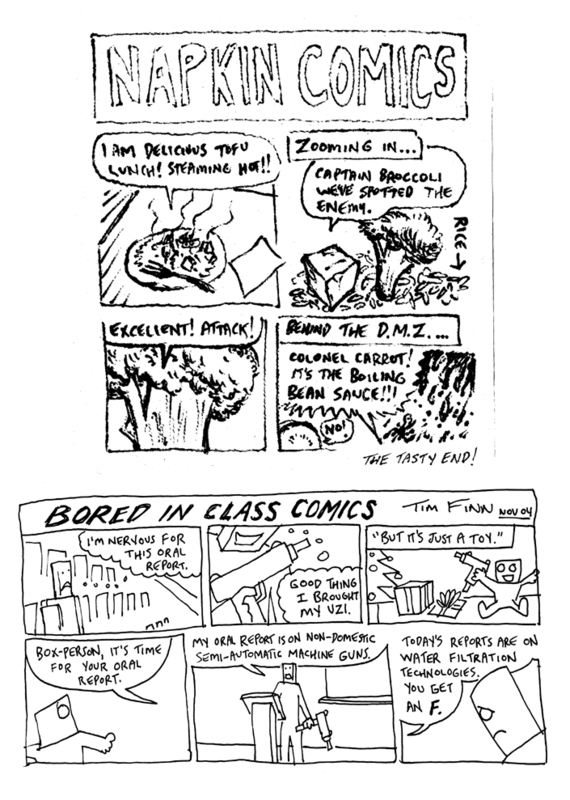 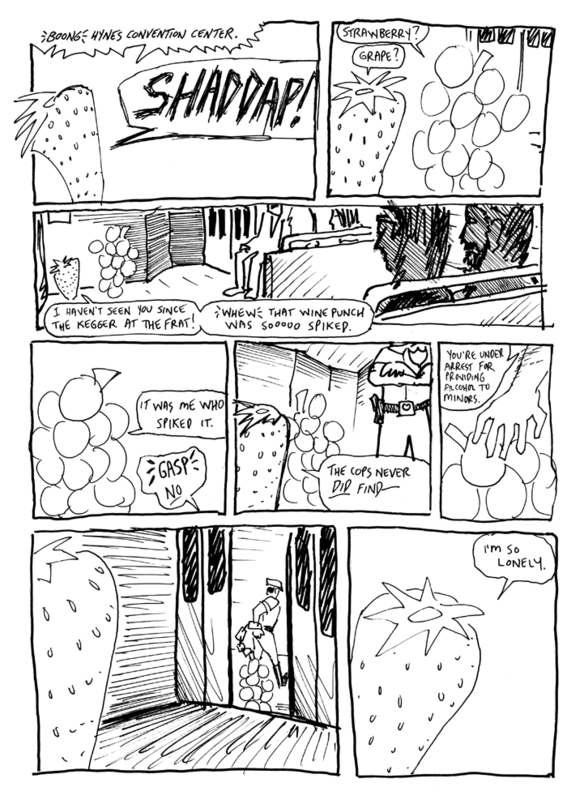 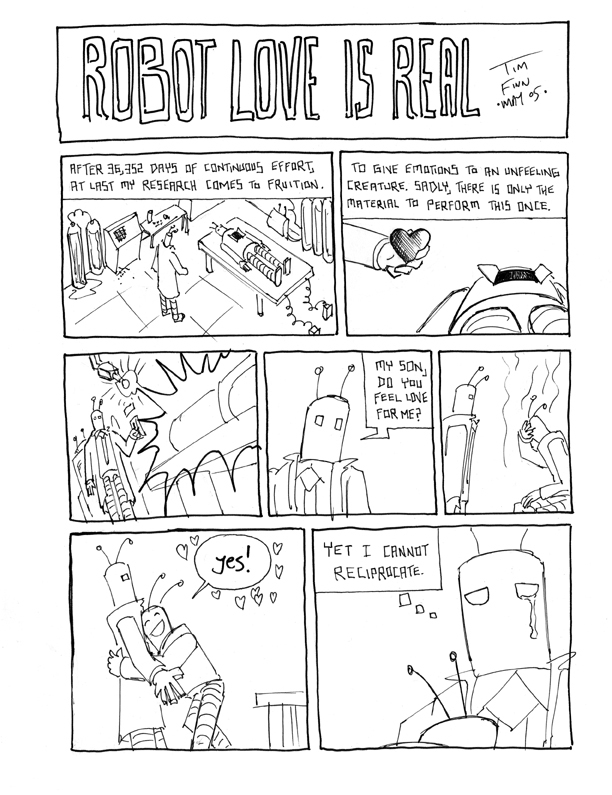 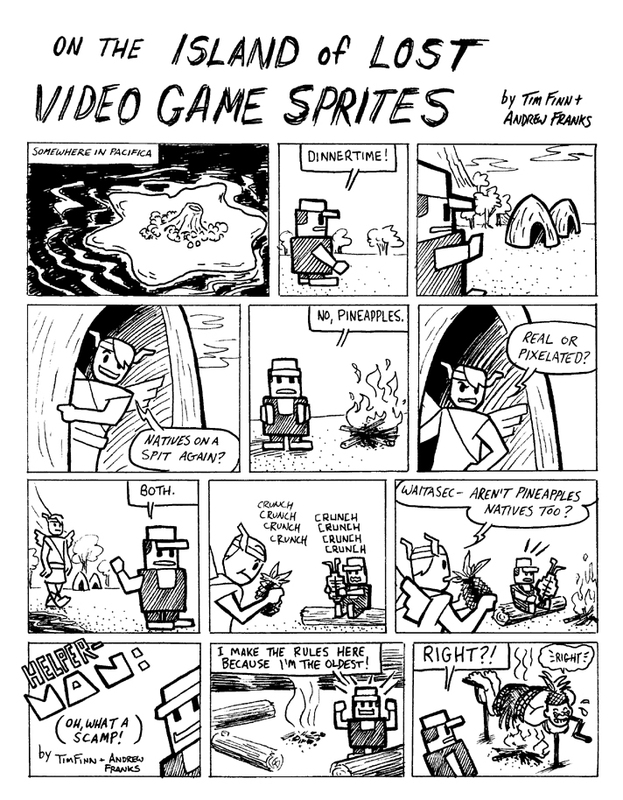 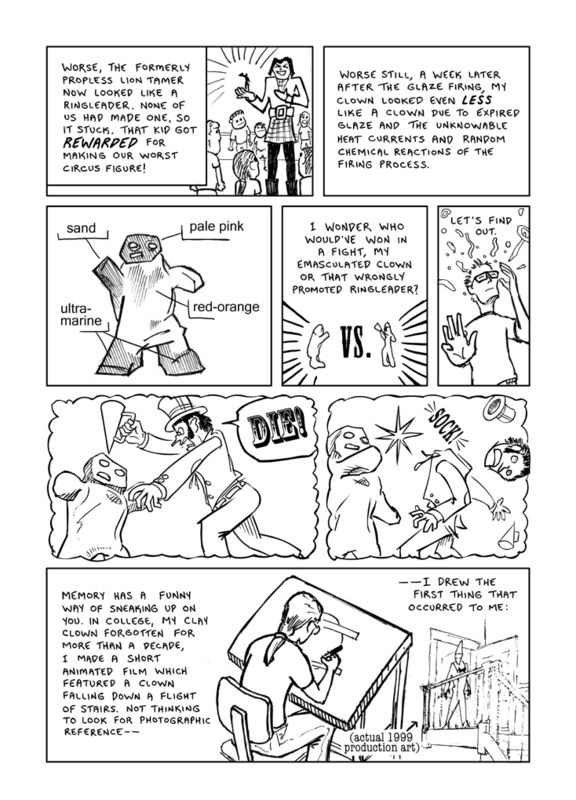 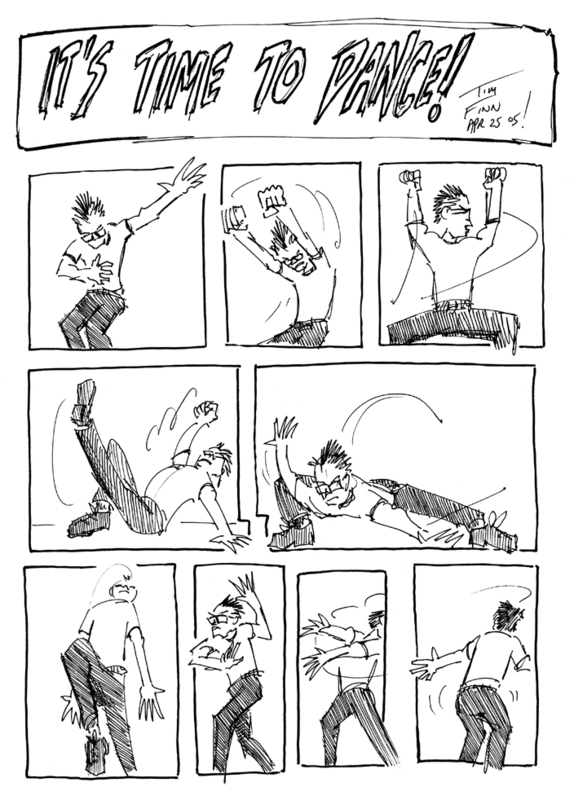 As I began my second year of grad school at sMFA in September 2004, Liz Prince and I took over the regular student comics zine that she and another student had created the previous two or three years. 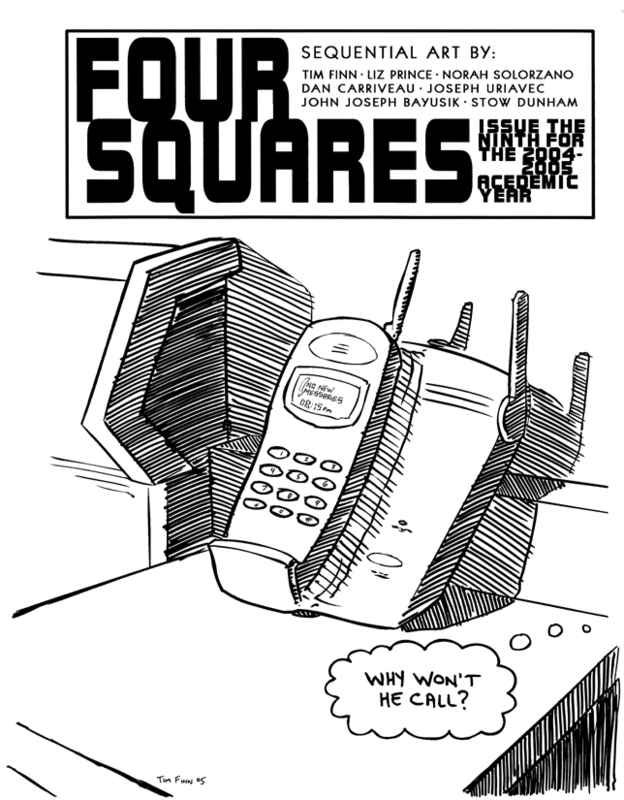 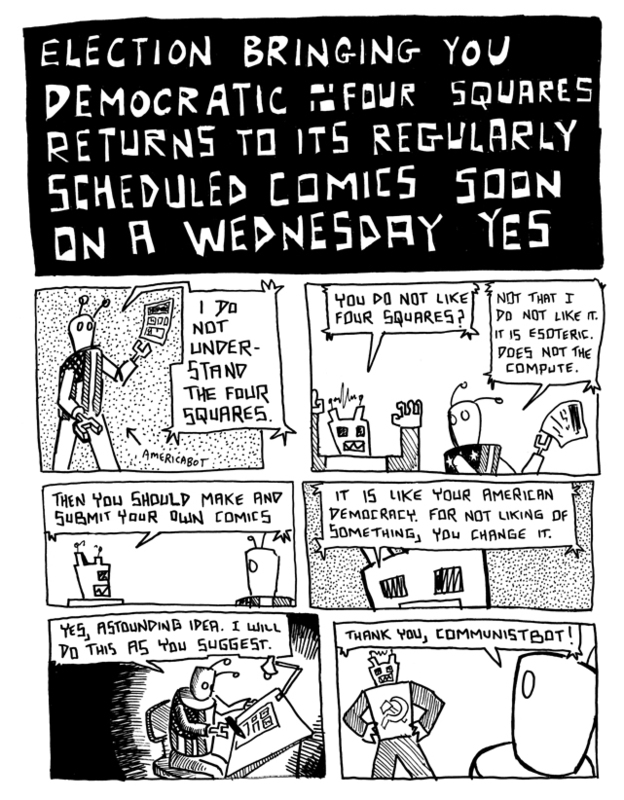 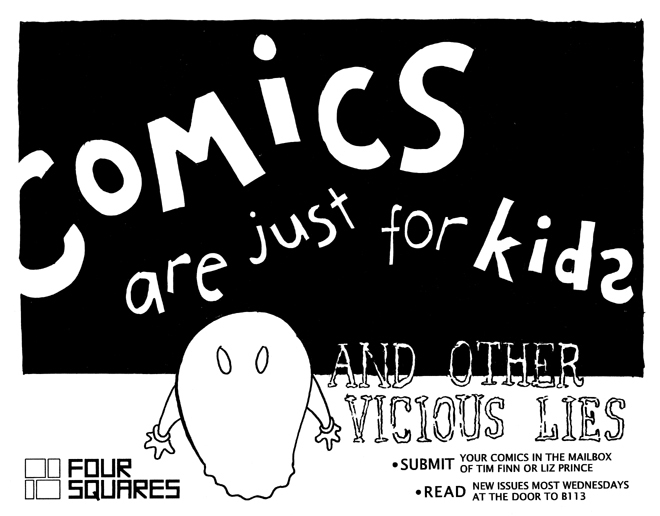 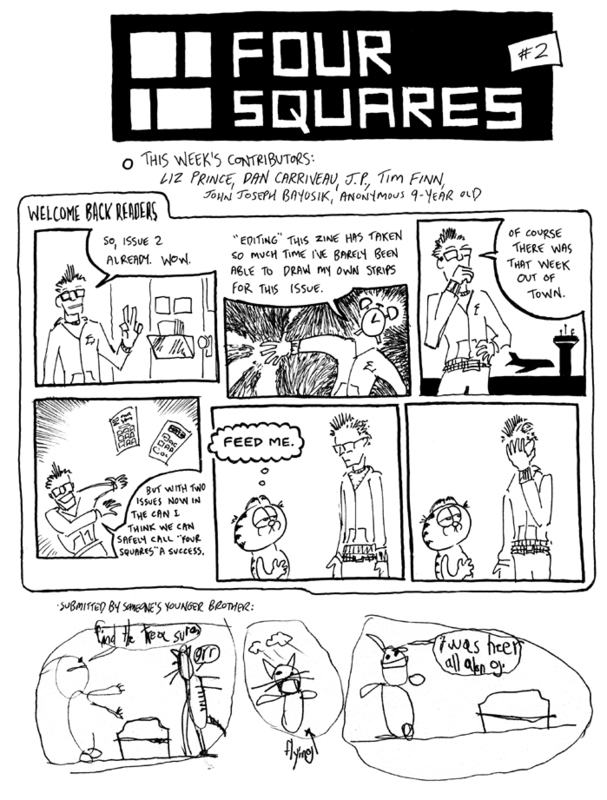 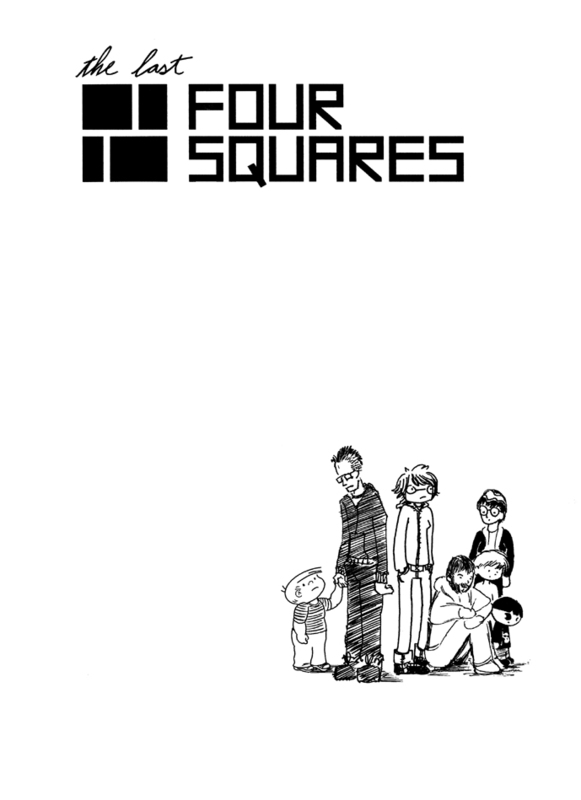 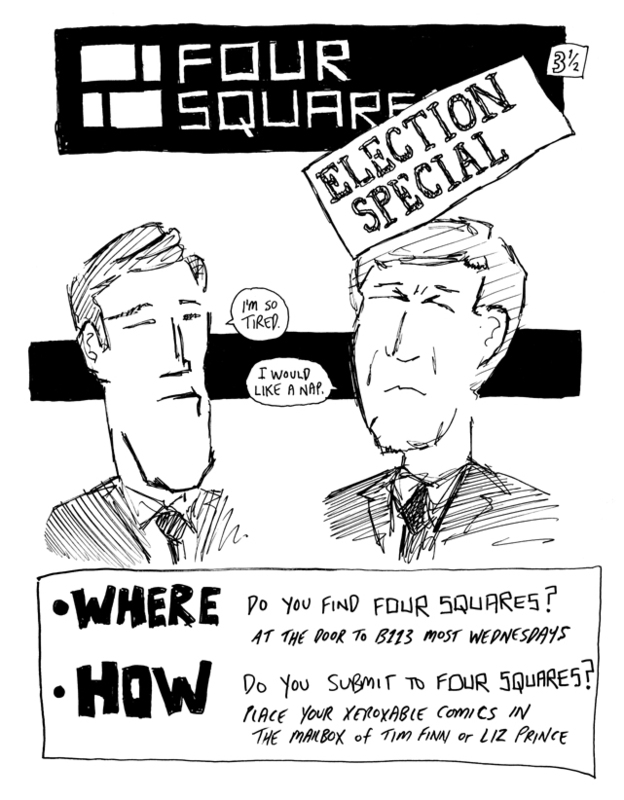 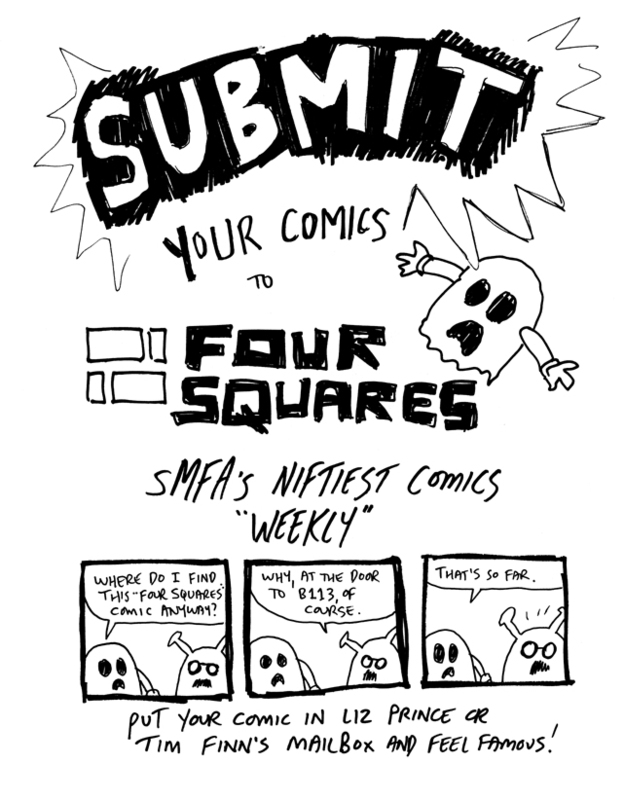 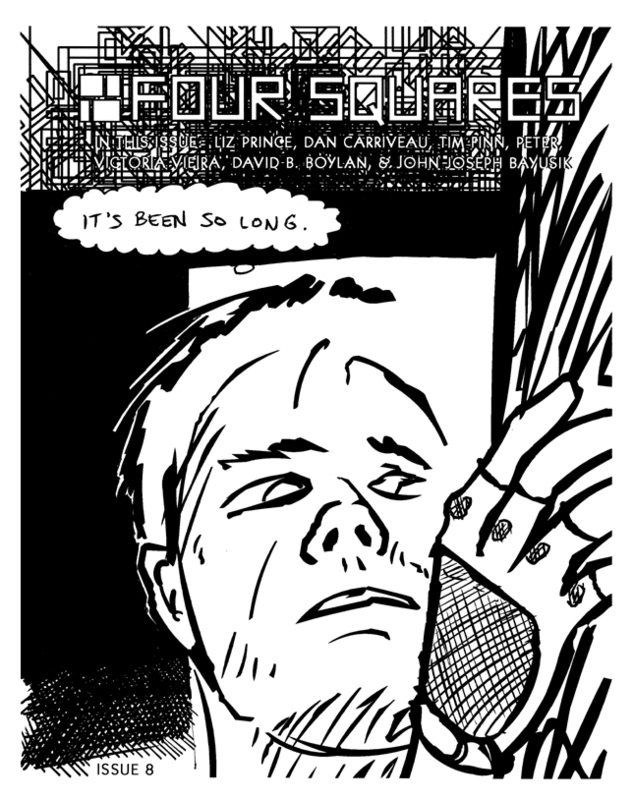 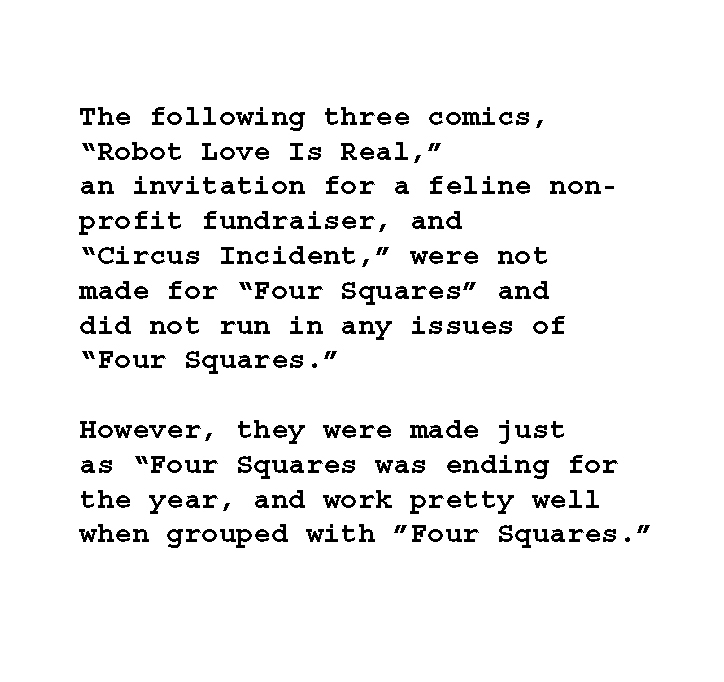 We renamed it “Four Squares,” accepted submissions, and produced an issue every three weeks or so. 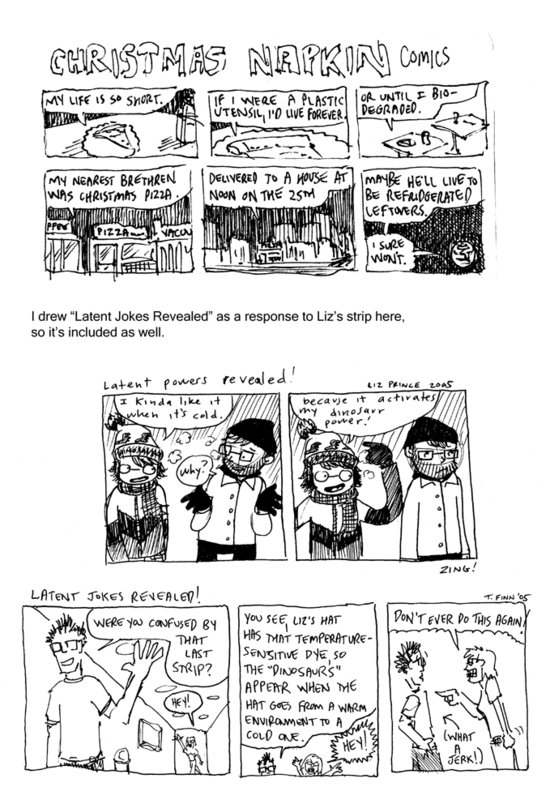 This is all of the work I did for it. 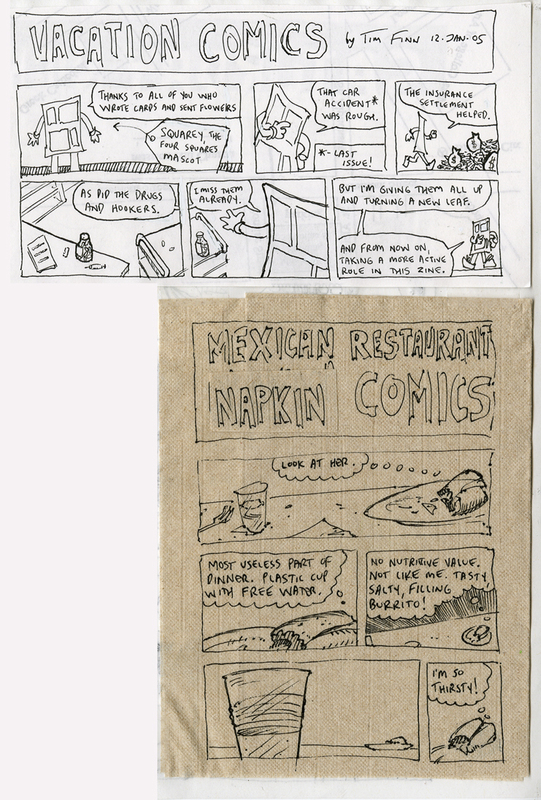 Click HERE for a text version of this thumbnail index.